Friday, August 8, 2014 is my next Stamp-A-Stack. We will be using either the Hip Hip Hooray card kit or the Everyday Occasions card kit to make 20 cards in ONE evening! It’s absolutely possible to complete these kits in one evening. 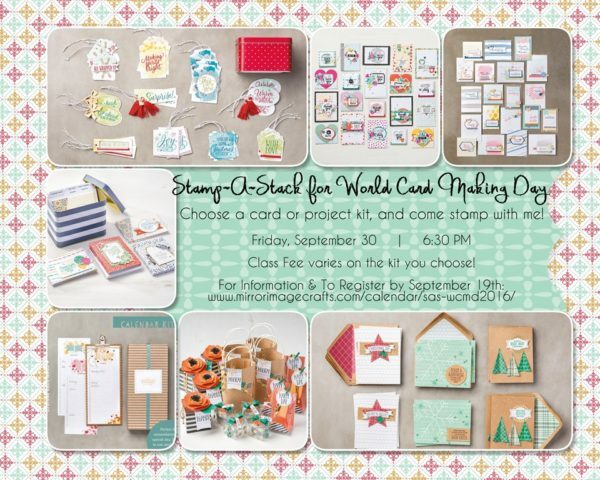 See details on my Stamp-A-Stack information page, and register to attend by July 29th, so I have plenty of time to order your kit.